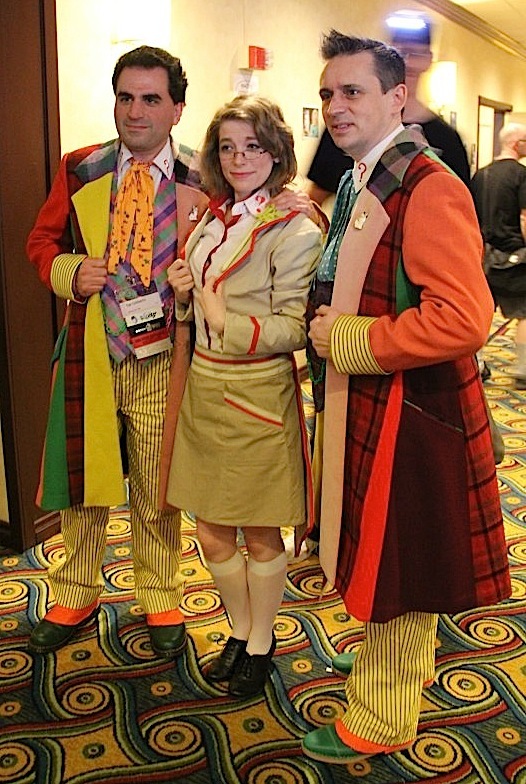 Walking around Gallifrey One this year, The Ultimate Six Frock Coat has been gaining a lot of attention as well as causing a buzz amongst fellow cosplayers. 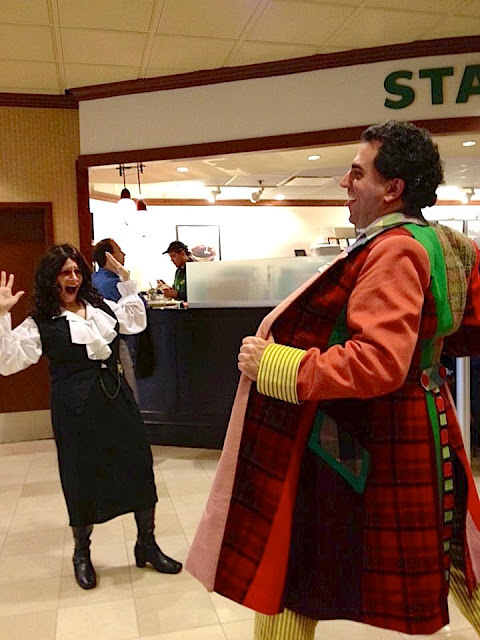 I had some fun sharing the lime light with Sal Giliberto, who has been craving a Six Frock Coat for years, and this year his dreams came true! Without doubt my favourite photo of the weekend was taken on the morning after the convention when everyone was on their way home. Legendary caotume designer June Hudson was in the lobby and wanted to get her own photos of Sal’s Six Frock Coat, which gave us the chance to get this GREAT photo. She loved the coat and was very complimentary about my work - which has been inspiring for me that such a legend of Doctor Who costume could be so nice about what I am doing. Over the weekend, I caught up with Sal who was enjoying wearing the costume more than words can say! We were asked for a photo quite a lot, and I know Sal lost count how many ties he was asked. One thing that was dazzling people was my amazing recreation of the lining. Suffice to say this photo isn’t all it appears! While walking around I found myself a suitable Peri cosplayer, wearing an Attack Of The Cybermen costume. Is that an accurate reproducuction of Tom Baker's infamous houndstooth tartan print velveteen waistcoat peeping out from your velvet frock?!?!?! If it is indeed may I email you an enquiry about it? STOP PRESS - latest news!